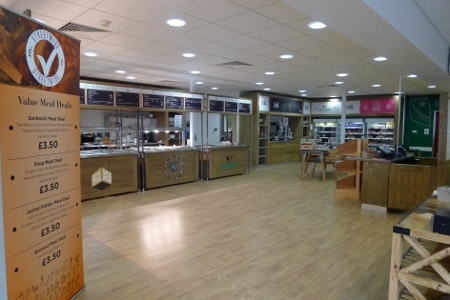 Moffat’s new hospital food service trolley created waves when the prototype was shown at the HEFMA and the HCA conferences last year. 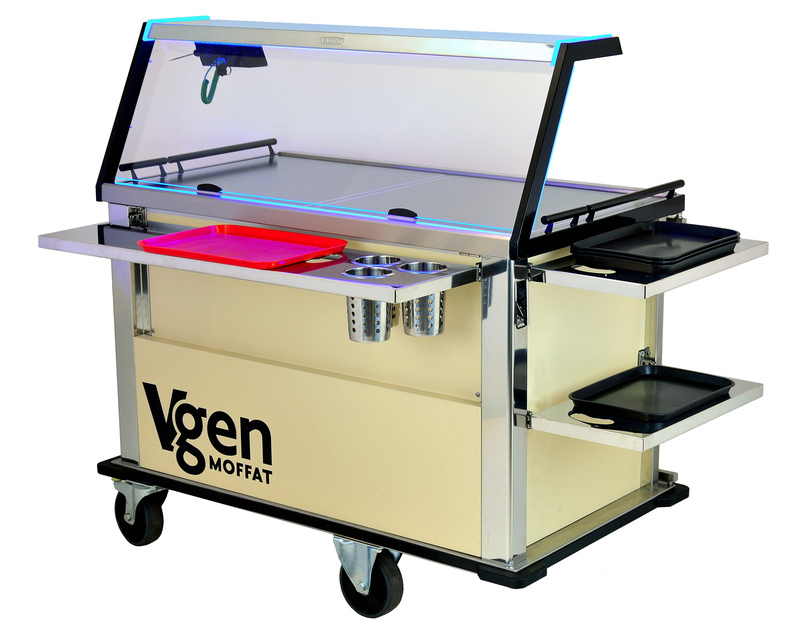 And the latest incarnation of the British manufacturer’s Vgen series is now in production and is the result of two years of research and development, during which Moffat’s designers consulted with hospital caterers to develop a solution that not only meets today’s needs, but is also futureproof. 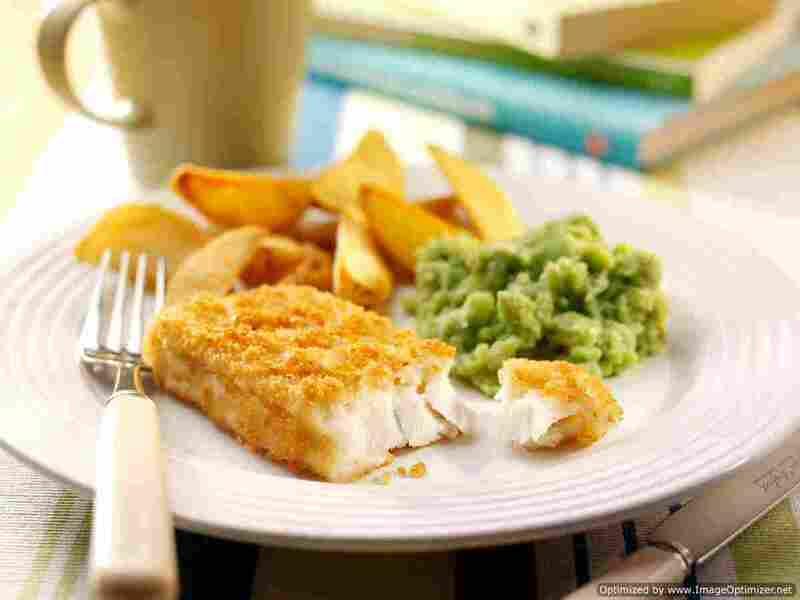 The trolleys are compatible with cook-serve, cook-chill and cook-freeze systems. 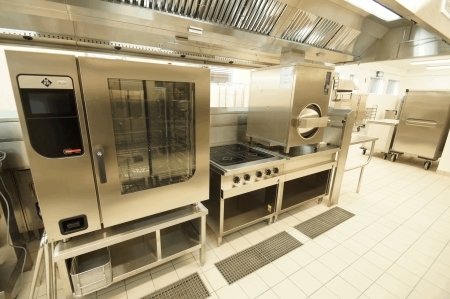 Stand-out features include a multi-zone oven that can hold different foods at different temperatures in one cabinet. And, typical of the trolley’s energy-saving features, is the fact that individual heated zones can be switched off if not required. Meanwhile, the refrigeration units combine finless condenser technology, the latest high-performance insulation, and eco-friendly, thermally-efficient R290 refrigerant. Together they reduce energy consumption and running costs while minimising maintenance requirements. The new Vgen is available in a variety of configurations. It can have one, two or three compartments and each can be used either for regen, refrigeration, ambient or warm storage. Thus a single trolley could have both a regen and a refrigeration cabinet. 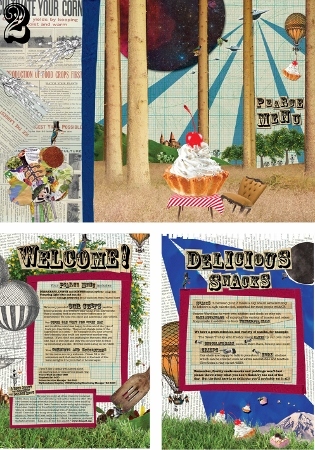 All are designed to maintain food quality. For example, the refrigerated model is fan-assisted to ensure rapid pull-down times. A key design criteria was ease of use. The new Vgen sets new standards, here, with a colour touchscreen controller that’s user friendly and simple to programme or for downloading HACCP information. 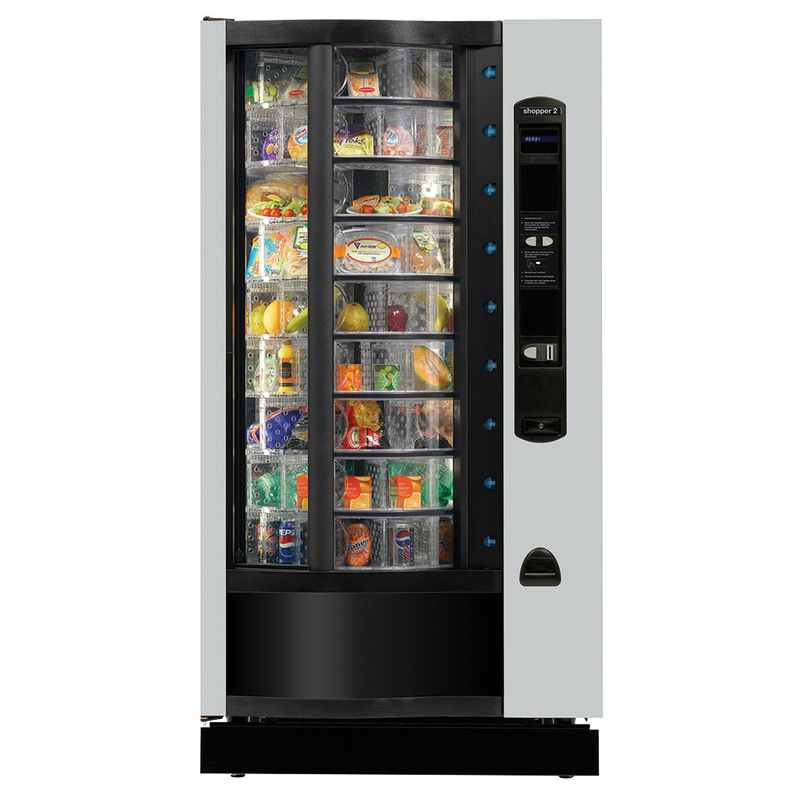 The controller can be used in fully-automatic, semi-automatic or manual mode, providing full flexibility to suit any catering requirement. And bright LED strips on the end and top of the gantry look attractive, but also serve a vital role, showing staff the trolley’s status at a glance. If the lights flash, it means that action is required; for example, flashing red LEDs indicate the oven door is open. 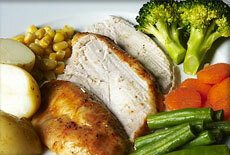 The trolley’s good looks are designed to enhance food presentation and, in turn, encourage patients’ uptake of meals. Moffat can supply the facia in a variety of finishes and colours to suit a hospital’s preferred décor and style. 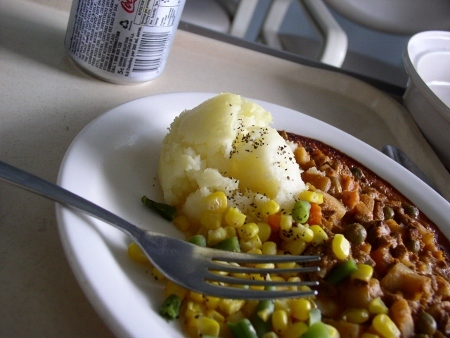 “Currently the hospital food service trolley sector is dominated by models that are made overseas,” said Donald Reid, sales manager at Moffat.